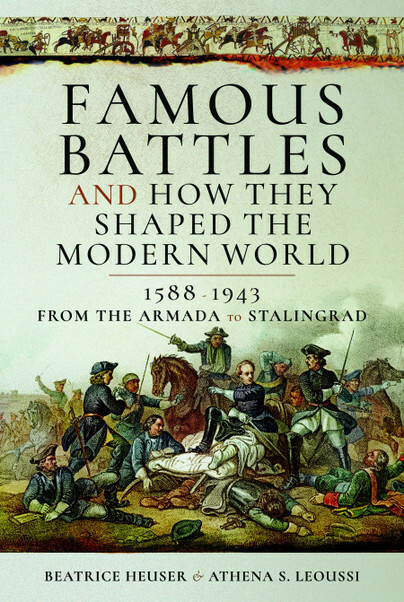 You'll be £15.00 closer to your next £10.00 credit when you purchase Famous Battles and How They Shaped the Modern World 1588–1943. What's this? Why are some battles remembered more than others? Surprisingly, it is not just size that matters, nor the number of dead, the ‘decisiveness’ of battles or their effects on communities and civilisations. It is their political afterlife – the multiple meanings and political uses attributed to them – that determines their fame. This ground-breaking series goes well beyond military history by exploring the transformation of battles into sites of memory and meaning. Cast into epic myths of the fight of Good against Evil, of punishment for decadence or reward for virtue, of the birth of a nation or the collective assertion against a tyrant, the defence of Civilisation against the Barbarians, Christendom against the Infidel, particular battles have acquired fame beyond their immediate contemporaneous relevance. The great battles of modern history examined in this second volume range from the defeat of the Armada and the relief of Vienna, to Chatham, Culloden, Waterloo, Gettysburg, the Somme and Stalingrad. In each chapter, the historical events surrounding a battle form the backdrop for multiple later interpretations, which, consciously or unconsciously, carry political agendas, some for further bloodshed and sacrifice, but others for the more recent and laudable phenomenon of reconciliation over the graves of the dead. Beatrice Heuser is known for her books on strategic studies including Reading Clausewitz (Pimlico, 2002), The Strategy Makers (ABC Clio 2010) containing translations of early texts, and Strategy Before Clausewitz (Routledge, 2017). She is keenly interested in myths invoked in foreign policy making, treated in (edited, with Cyril Buffet) Haunted by History (Berghahn, 1998). Athena Leoussi is known for her books on nationalism, including the Encyclopaedia of Nationalism (Transaction, 2001). She is a founder of The Association for the Study of Ethnicity and Nationalism, and the journal, Nations and Nationalism. She is also known for her publications on the classical body, and contribution to the British Museum’s exhibition, ‘Defining Beauty’ (2015).